Official site of avid traveller and singer/songwriter, Dan Schaumann. Debut album "A Thousand Days Beneath The Sun" out now on CD and iTunes. In my final few months in Sydney before I pack my bags and jet off to foreign lands, I have ambitious plans to tick off a few attractions from my list of things to see and do in NSW that I haven’t had the chance to see or do yet. Last weekend I embarked on a road trip to the upper Hunter Valley region and accomplished two of those items on my bucket list: I ate scones in Scone and I hiked up to the Burning Mountain! About 270km from of Sydney and just north of Muswellbrook on the New England Highway lies the township of Scone, famous for being the Horse Capital of Australia. I first became acquainted with Scone in 2010 during a drive from Brisbane to Sydney, but I was in a hurry to get home and didn’t have the time to stop for a look. However I’ve always found something strangely appealing about a location that has the same name as the delicious Scottish cake, and ever since then I’ve wanted to return to sample the town’s baked namesake for myself. This wasn’t to be the first time I’d eaten a food item in a town of the same name. I’d previously consumed oranges in Orange, wieners in Vienna and cheddar cheese in Cheddar, so there was no way I was going to leave NSW without returning to the scrumptious-sounding Scone. The first thing that struck me about my search for scones in Scone is that they’re a rather difficult commodity to come across. I parked on the main street at the southern end of town and walked north, expecting to find a multitude of cafes & bakeries that would satisfy my desires. But it wasn’t to be – a lot of shops were closed on Saturday, and the one eatery I walked past didn’t even have them on the menu. Eventually I found myself at the tourist information centre at the other end of town, where the friendly assistant offered the disheartening news that scones really aren’t a big thing at all in Scone, and there was no cafe she was aware of that served them on a regular basis. 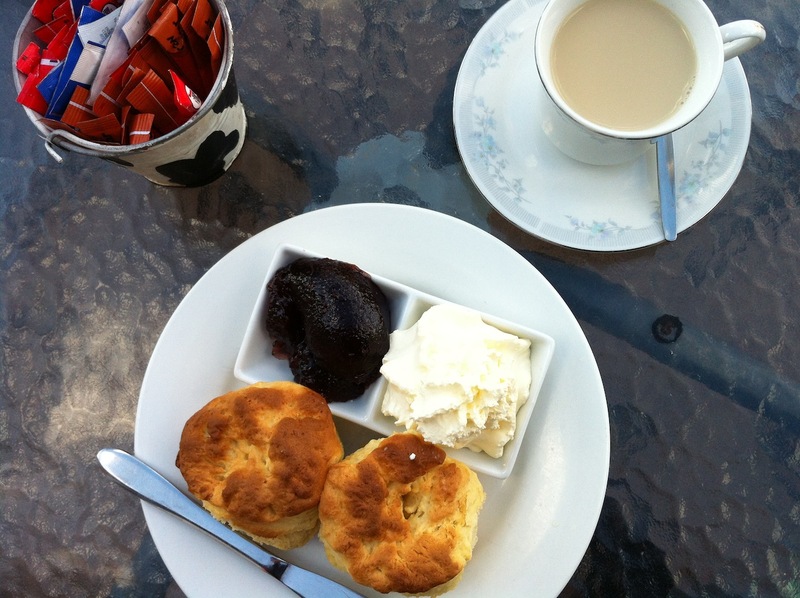 Delicious scones with jam, cream and tea! The scones were just the right consistency, the jam was fragrant (although I don’t think it was the traditionally-served strawberry conserve), and the cream was light & fluffy. 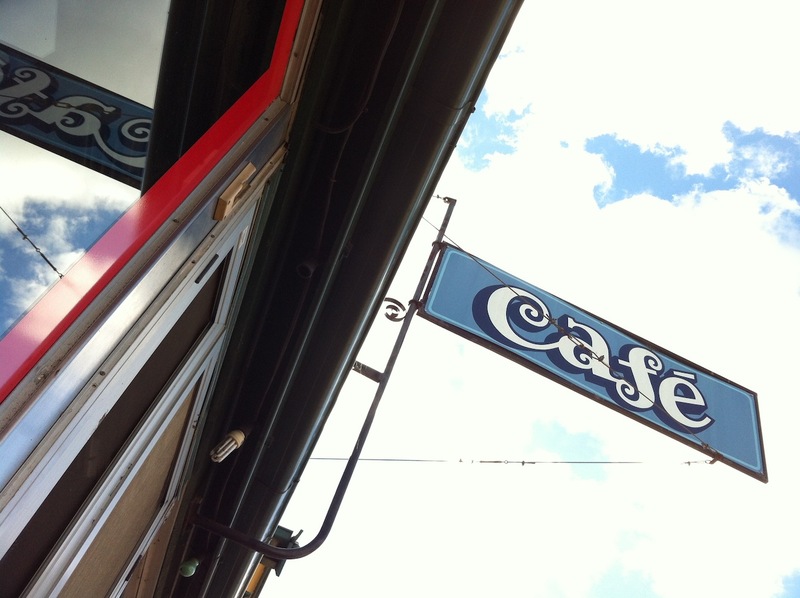 The outside temperature of about 17ºC proved the perfect weather to enjoy the warm cakes. It was a satisfying meal in a satisfying town. From these humble beginnings I now have dreams of sampling frankfurters in Frankfurt, bolognese in Bologna, camembert in Camembert and champagne in Champagne. 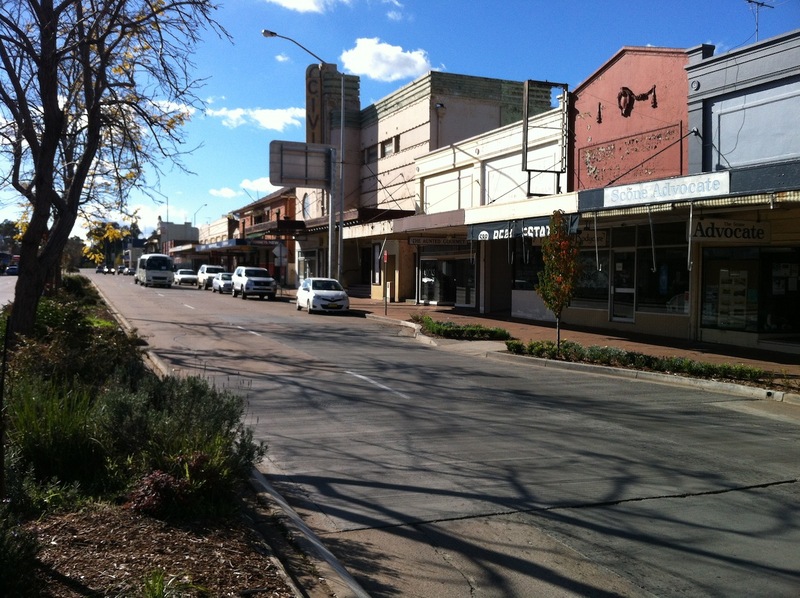 The main street of Scone. It has a very peaceful country town feel. 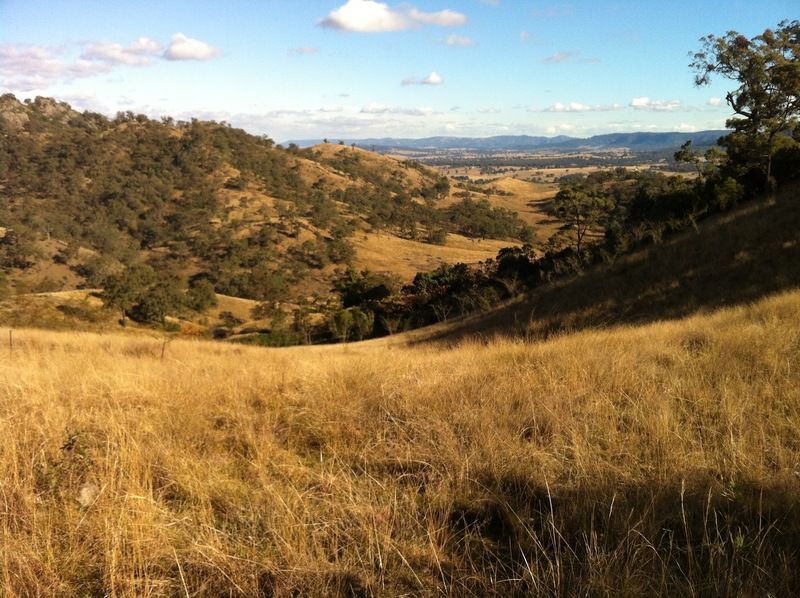 20km north of Scone, near the small village of Wingen, lies a landmark with the interesting name of Burning Mountain. 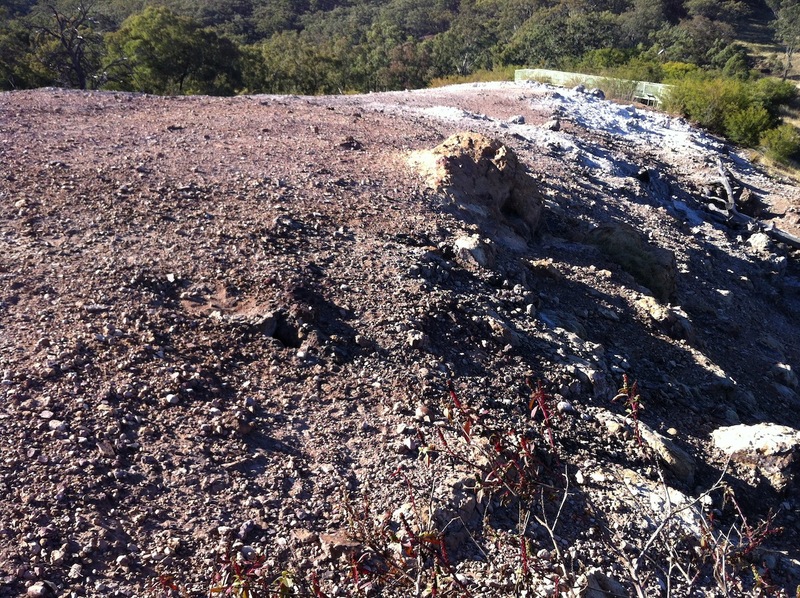 I can’t remember where or when I first heard of said blazing bluff, but for quite some time I’ve been aware of a bushwalk that leads to its peak where you can experience the surface effects of a coal seam that’s been smouldering 30m underground for some 6,000 years. I have quite the interest in extreme terrain, especially after experiencing my first up close & personal taste of a volcano late last year when I visited Mt Aso in Japan. Seeing as Burning Mountain exhibited volcanic properties and it was literally at my doorstep, I couldn’t go past a sojourn to its summit whilst in the area. 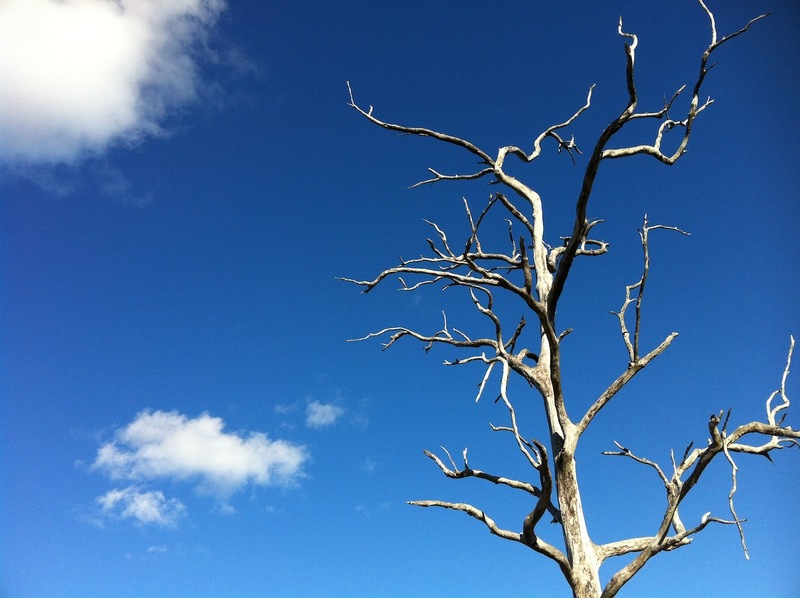 In the wintry mid-afternoon hours with the sun shining beautifully, I set on my hike up the hill. The track was around 2½ km long and began fairly steeply, leading me through some arid grassland before flattening into an eerie forest of seemingly lifeless trees. It was claimed the close proximity to the burning coal seam affected the nutrients in the soil of this particular forest, hence the sparse presence of live greenery. After a few more twists & turns and another slight ascent, I reached the climax of the journey: the summit of the Burning Mountain. 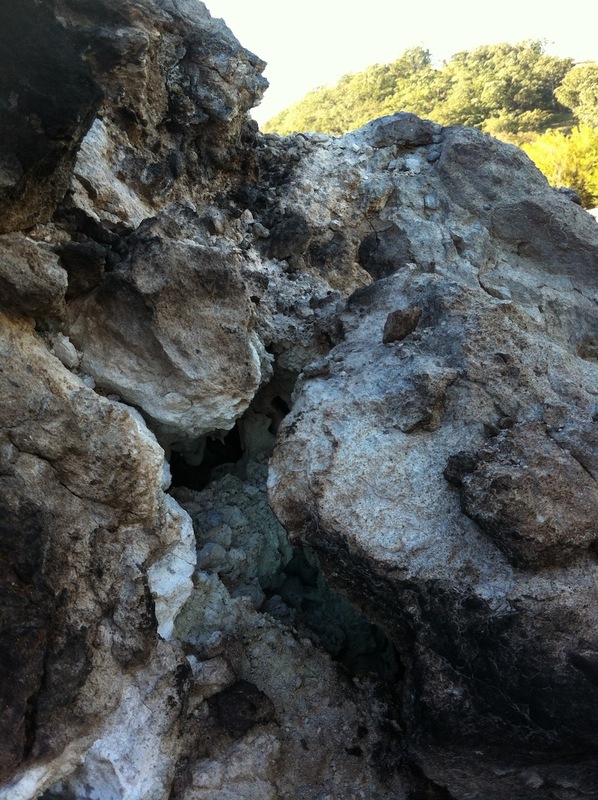 The dull vinegary scent of sulphur became apparent the moment I stepped onto the viewing platform. It was reminiscent of my earlier trip to Mt Aso, where the sulphur was so strong at times that I had to cover my face to mask the noxious odour from entering my respiratory system. Thankfully it didn’t smell quite so bad here. As I edged closer to the burning surface, I could feel a definite rise in the warmth around me and I could make out the gaseous vapour advancing from the earth and into the atmosphere. It was really quite something to stand amid these effervescent fumes; it blew my mind to think they originated just below my feet where the temperature was in excess of 1,700ºC. The rocks in the immediate centre of the burning summit were hot to touch, but altogether the heated ambience was tolerable. I was particularly impressed with a small rocky outcrop that expelled a stream of hot vapour at surprisingly high pressure, the crack in between the crag directly leading the way to the underground action. It was just a shame about the sulphuric stench… it totally ruined the thought I had of warming my hands in front of a fireplace while roasting marshmallows. 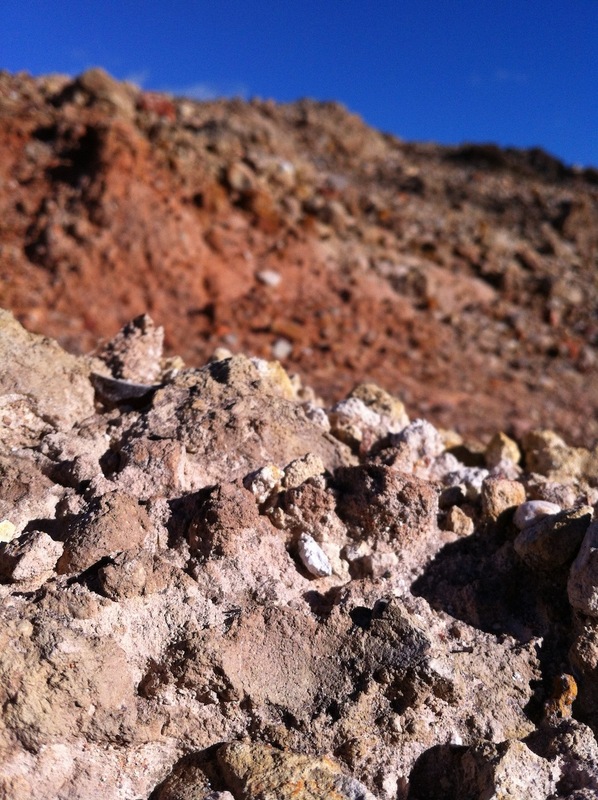 The summit of the Burning Mountain. You can’t see it in the photo, but it’s easy to notice the vapour rising from the earth when you’re there. After I finished marvelling at the smoky summit, I took a short walk around the surrounding area. A harsh, dangerous environment ensued, complete with deep cracks in the ground, huge inanimate trees, Martian-style landscape and countless bones of deceased livestock. 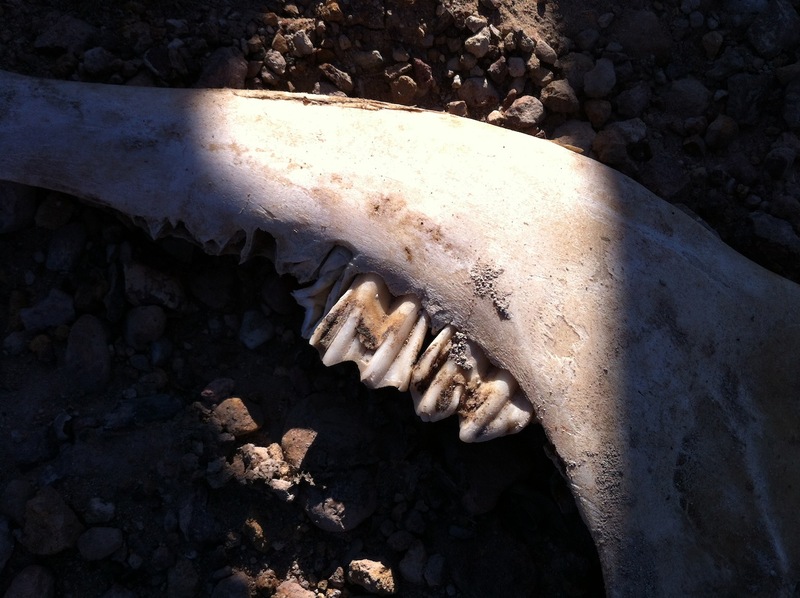 At one stage I noticed so many bones that I thought I was walking through an animal graveyard. It made perfect sense for animals to inhabit the top of Burning Mountain, the tepid vapour providing much relief from cold winter nights, although presumably at a high risk to their lungs. Deep cracks in the earth. I wonder how many animals/children have made the plunge? And as if the Burning Mountain summit wasn’t amazing enough: while walking through the lifeless woods on my hike back to the car, I noticed the sound of an animal in the nearby scrub. 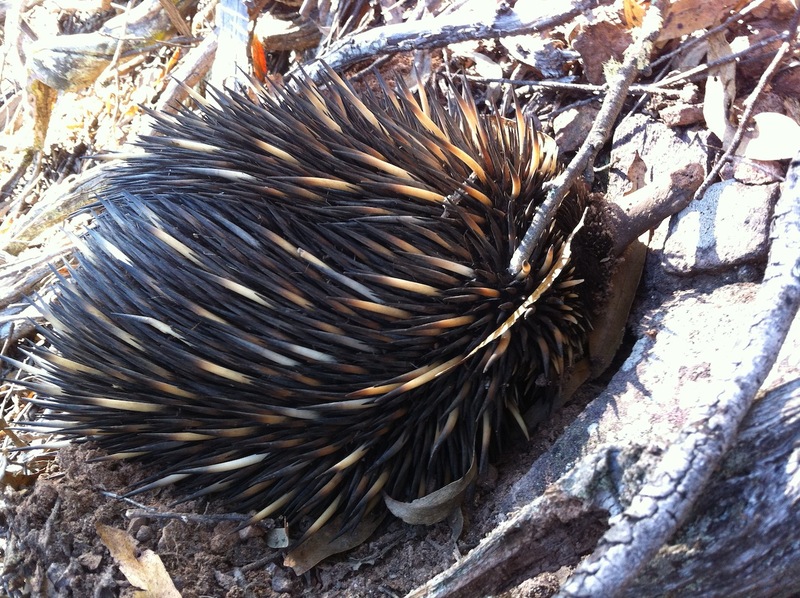 I’d seen a few echidnas in the wild before but I’d never gotten as close to one as this little guy. And so concluded my day eating scones in Scone and exploring the Burning Mountain. 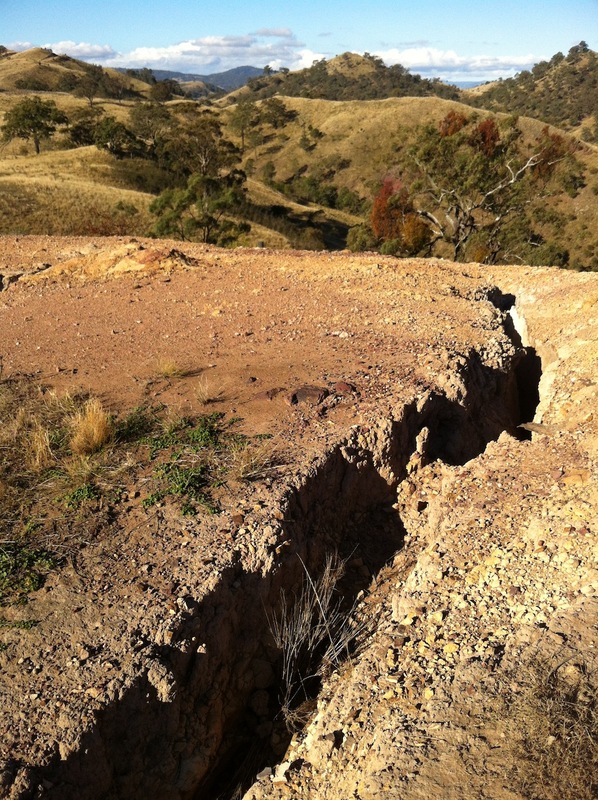 The coal seam moves in a southerly direction at approximately 1 metre per year, which in turn exposes a variable portion of the hill to similar harsh conditions. 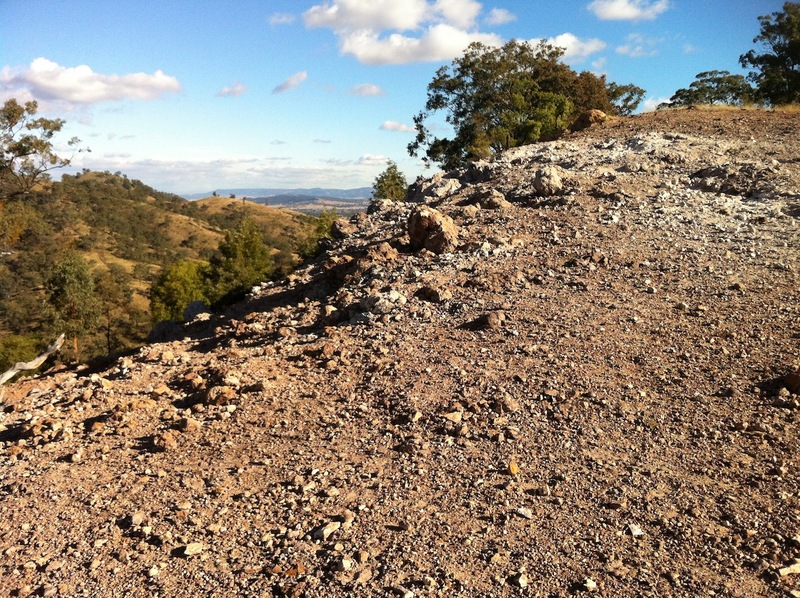 It will be interesting to revisit the Burning Mountain in 30 years time to see how much the landscape has changed. Just as I was about to leave and head back on the 3½ drive to Sydney, I took a phone call from my dad and let him know of my day’s adventure. Interestingly, he filled me in on the fact that I had been there once before. 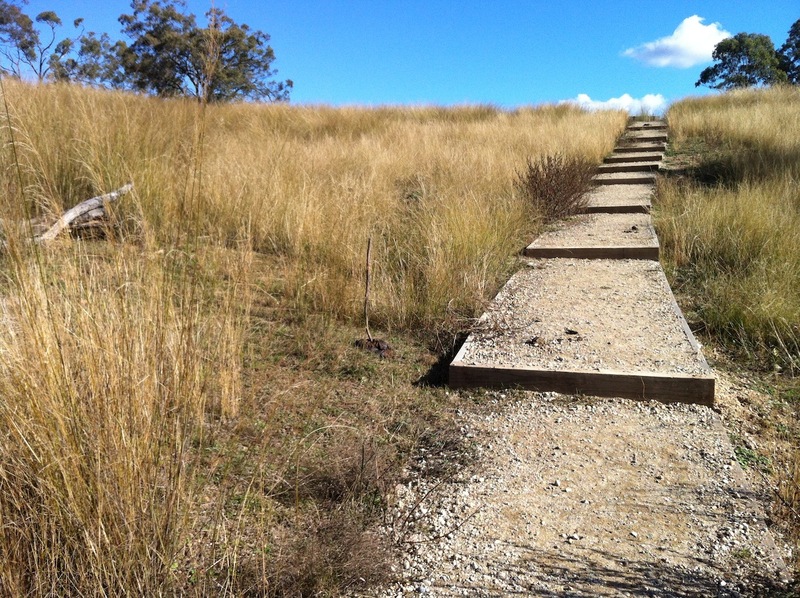 When I was two years old, my parents and I drove from Adelaide to Townsville to begin a new life, and along the way they took a detour through to Burning Mountain where I walked the exact same path as I did today. This entry was posted on Sunday, June 30th, 2013 at 8:05 pm	and is filed under Australia, Blog, Travel. You can follow any responses to this entry through the RSS 2.0 feed. You can skip to the end and leave a response. Pinging is currently not allowed. 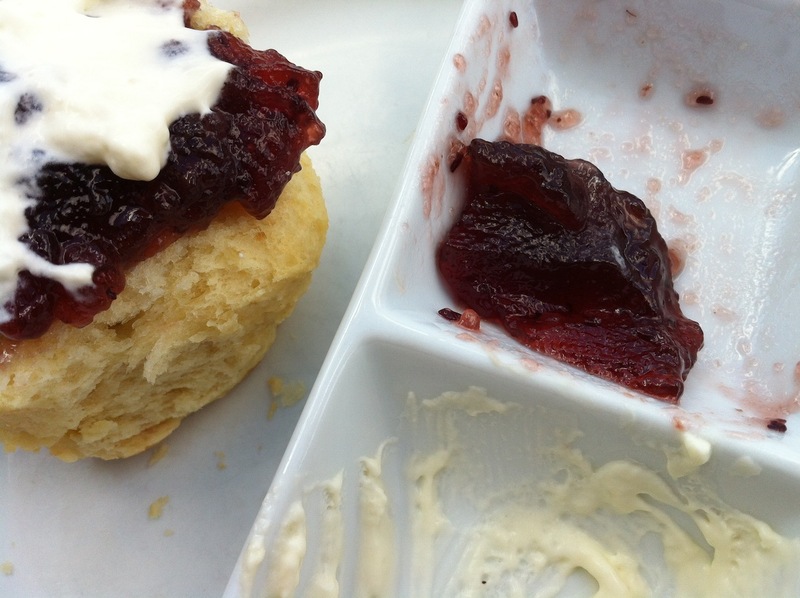 Eating scones in Scone would totally be something I would have to do. It Ka like how I had to have a Thai massage in Thailand! You should totally add it to your bucket list Annette! Ha, I haven’t even had a Thai massage in Australia but if I ever travel to Thailand I’ll definitely get one. 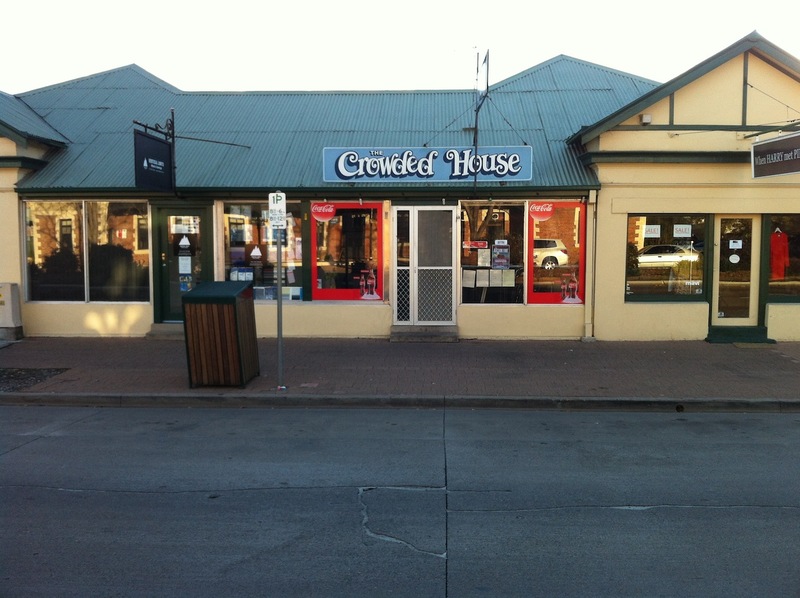 Thanks for recommending the Crowded House cafe at Scone, it does pretty well on Trip Advisor too. I’ve been looking for scones around Barrington Tops without much luck so this might be a better option. Dan's debut album A Thousand Days Beneath The Sun is available now on iTunes, Spotify, and as a free download through NoiseTrade. Check out my other two websites!